Misguided members of the Movement for the Sovereign State of Biafra have thrown two policemen into the River Niger, and stabbed another officer to death. A police officer who witnessed the dastardly act told NAN that the protesters attacked some officers at the bridge, overpowered two of them, before throwing them into the river. Uche Okelue, a witness, said the fracas broke out after a police team threw teargas at the protesters who were demanding for the independence of Biafra, in an effort to disperse them. 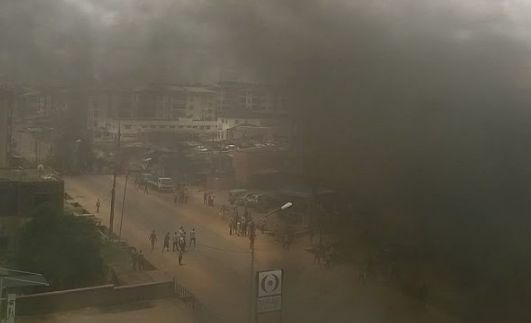 “The police used teargas on the MASSOB people as they were protesting along Anwai Road this morning, so the people got angry and attacked the policemen with knives and broken bottles. Hmmm...too many violent acts these days.